Provides systems analysis, project estimation and scheduling, testing and process development. Systems Analysis: Supports analysis of proposed projects to determine best architectural approach. Supports evaluation of how to leverage existing test approaches to develop cost-effective solutions. Proposal Development: Works with Business Development and Project Engineering to ensure test proposals are complete and accurate. Project Estimation: Based on agreed to product proposals, creates Work Breakdown Structures (WBS) for Test and Test Development activities. Develops basis of estimate and uses WBS to capture project scope and estimated cost. Project Schedule: Works with functional and project management to develop project schedules. Test Requirements Development: Works with design and systems engineering to develop test requirements that meet product and/or project goals. Ensures that test requirements do not compromise target delivery dates. Test Development Plan: Based on test requirements, interfaces and product designs, develops and documents test plans that will meet project testing goals quickly and efficiently. Presents test plans for review by peers and management. Test Development: Develops test procedures, equipment and test code to support the testing of systems, sub-assemblies and printed circuit assemblies. Supports product development especially as it relates to product test and design for test. Ensures all development tasks are documented per L3 processes. Test Implementation and Maintenance: Implements and maintains test procedures, equipment and test code to realize timely and efficient test execution. Project Execution/Reviews: Meets with project teams on an on-going basis to discuss project progress, obstacles and solutions. Identifies problems discovered and recommends and or implements solutions. Meets project milestone deadlines on or before scheduled completion dates. Process Improvement: Continuously monitors test processes and yields to drive process development and improvement. Implements metrics and tracking systems to support process and yield monitoring and improvement. As an AS9100/ISO Certified Company, it is important to follow internal process to ensure conformance to established policies/procedures and support our quality system by assisting in the development of AS9100/ISO compliant documentation. Able to work with other Production personnel and departments. Able to communicate effectively with technical and non-technical internal customers. Able to work in a fast-paced, schedule-driven environment without sacrificing quality. Able to successfully prioritize and manage multiple projects. Acute attention to detail; excellent organizational skills. Able to logically address, analyze and resolve problems. Able to maintain a professional demeanor and diplomacy when dealing with others. Able to work under pressure of changing deadlines and still meet commitments. Exercises sound judgment while working to resolve critical issues. High level of professional integrity and ethics. Clearly understands problems, areas of risk, and areas for improvement within production unit, including the processes and checkpoints. Education – B.S. degree in a related discipline or equivalent training/experience. Experience – 3 years of related experience in a complex technical function, including optics experience. Some knowledge and first-hand experience in circuit design and experience with PCB layout using Altium tools. Demonstrates a clear understanding of factory test systems development, including design and documentation standards. Ability to address real time production issues. May need technical assistance. Good knowledge and experience with test software development using LabView (or similar). Proven experience flowing board level Design-For-Test requirements to design engineering required. Knowledge of use and feedback improvements to DFT checklists. Strong mechanical, mathematical, and geo-spatial comprehension skills required. L3 Sonoma EO is an e-Verify Employer. Able to use office and test equipment in a typical office/light manufacturing environment. May be required to lift up to 50 pounds, with assistance . Fast paced, schedule driven environment. L3 Sonoma EO is located in Santa Rosa, CA. L3 Sonoma EO is an established pioneer in military/defense infrared technology. A leader in high technology and engineering services, L3 Sonoma EO is world renowned for its expertise in the areas of Electro Optical / Infrared (EO/IR) stabilized imaging systems. 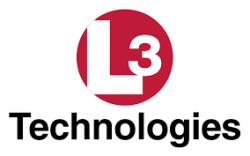 As a first-rank engineering and production company, L3 Sonoma EO is engaged in the design, development, and manufacture of highly-sophisticated electronics equipment that is used in a variety of product areas for government, civil and commercial applications.